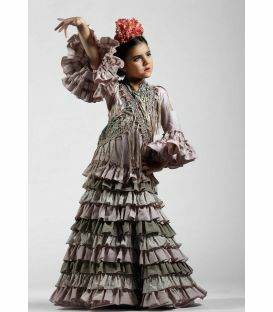 The flamenco dress, traje de flamenca or sevillana dress is the traditional suit for Spanish ferias and romerías. 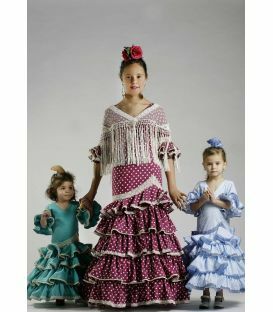 Nowadays, it is worn at the stage thanks to flamenco performances. 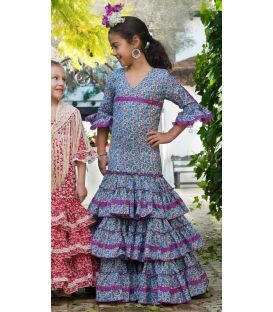 They are distinguished by being close-fitting attires with flounces (except for the canastero dress) made of different fabrics: patterned, plain, with laces, flowered and the traditional polka-dot pattern. They are totally fit to each person’s body. 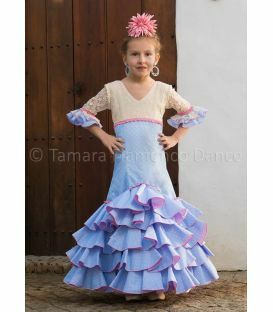 Our flamenco dresses for kids collection is completely made in Seville. 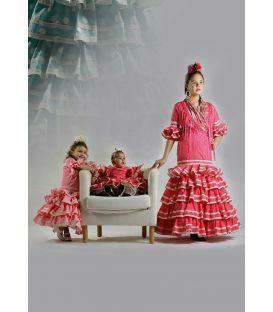 Created by the highest and most prestigious design houses, each of our models has been modelled down the Flamenco catwalk SIMOF (Salón Internacional de Moda Flamenca), the most important Flamenco worldwide event and a benchmark for all the great Flamenco fashion designers. 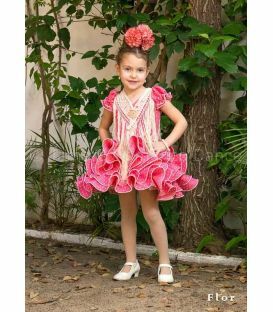 Our secret for providing a collection that appeals to every girl is counting on different designers, patterns designing and styles. 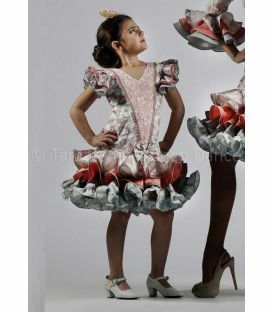 This guarantees that we can always offer you the perfect dress. 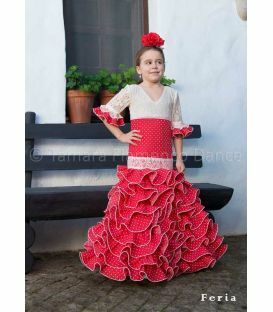 TAMARA Flamenco unifies tradition with the latest flamenco fashion; achieving trendy dresses as well as keeping by our flamenco dresses history and cultural tradition. 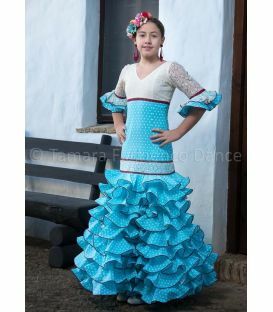 Most of our designs are have large meters of fabric, which makes the dress glide beautifully as you walk or dance with it. In addition, all designs are made with high-quality fabrics that reduce the weight of the dress, allowing you to wear them for more hours by decreasing the warm sensation. 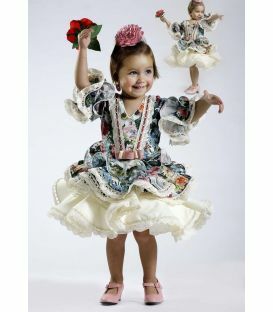 Hairstyle: the most traditional hairstyle for kids is, undoubtedly, the flamenco bun. 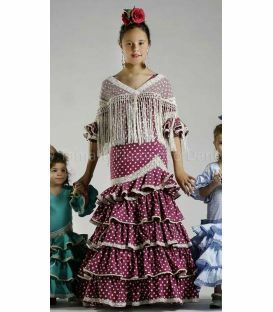 The hairstyle depends on one person’s taste but it must always be ornamented with a beautiful comb and a big flamenco flower. 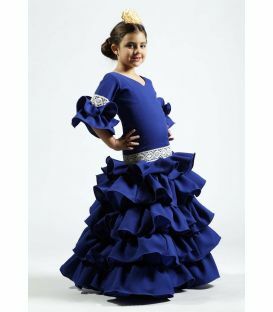 Accessories: flamenco dresses for kids are usually worn with a shawl and a little brooch. It is highly recommended to choose for the shawl a colour that makes a contrast with the colour of the dress and the brooch. 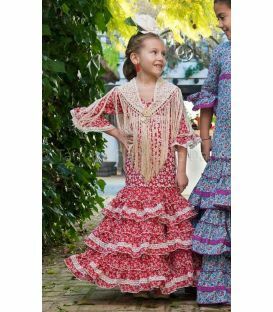 For example, if the dress is red, a white shawl and a flamenco red brooch may do the perfect contrast. 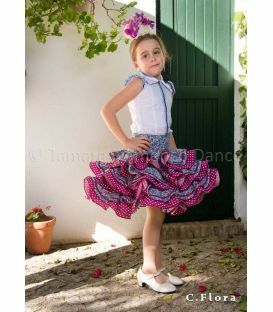 What are missing for you to be a perfect flamenca are some bracelets and a couple of flamenco earrings. You can find all these accessories in the “accessories” tab at our webpage. 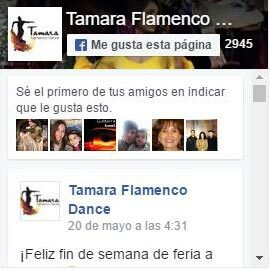 If there is any question or our expert assistants advice is required, please contact us by email at info@tamaraflamenco.com or by telephone at (+34) 956347489. 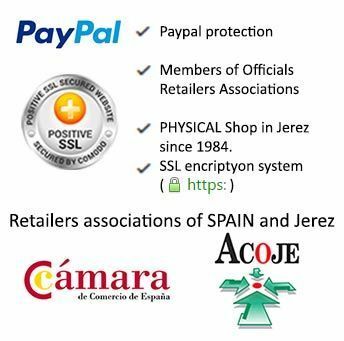 We will be pleased to help you. 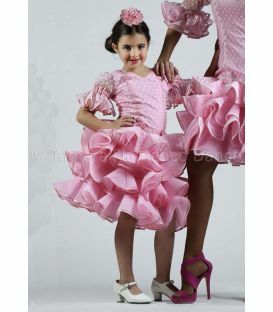 In addition, if a flamenco dress for kids is required for immediate shipment, do not hesitate to contact us. The most sold models are always in stock at our storehouse. 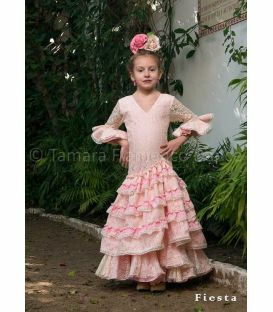 In order to know about our stock y get your flamenco dress for kids delivered in 24/48h working days, write us at info@tamaraflamenco.com.